online pharmacy viagra How many times have you walked through Magic Kingdom and wondered if there’s any American history to be learned? Ok, probably not many, if at all, but there is a definite lesson in American History if you head to Liberty Square. There, kids can learn about our forefathers, the beginnings of America, and even about the U.S. Presidents and their lack of indoor plumbing- and you may just learn something, too. 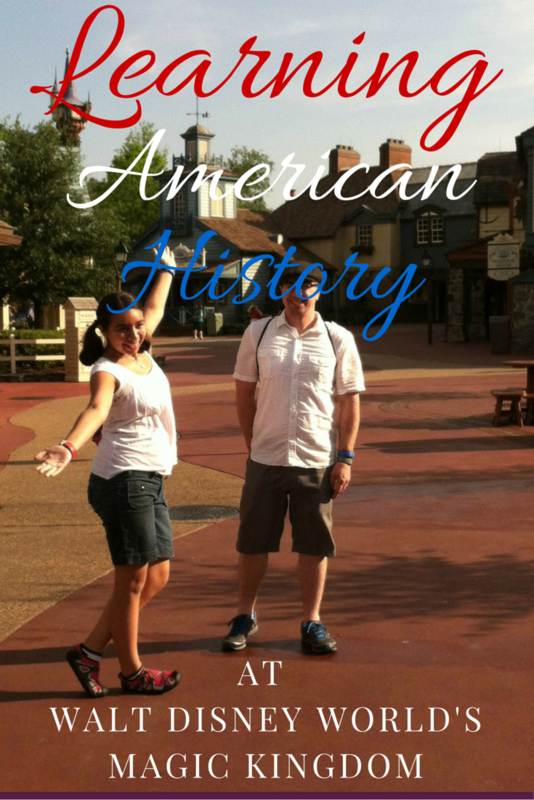 Here’s how to give kids an American history lesson at Magic Kingdom – and how they’ll have fun learning about it. Debuting October 2016, The Muppets Present…Great Moments in American History is an informative (but still fun!) way to learn about history. American history, that is. The Declaration of Independence and the Midnight Ride of Paul Revere are both told in abridged versions and, honestly, it gave me a quick brush-up on my American history facts. Several shows are performed daily from the second story window of the Heritage House (next to Hall of Presidents) and a town crier gives warning a few minutes ahead of time. The Liberty Bell that sits in Liberty Square was cast from the actual mold that the original Liberty Bell was created from. Cast in Annecy-le-Vieux, France by the Paccard Fonderie, the bell was placed in Liberty Square by a crane just in time for the 1989 Independence Day celebration at Magic Kingdom. Although it may not look like it, the Liberty Square Liberty Bells stands eight feet feet tall and weighs in at two and one-half tons. What’s it made of, you ask? Copper, tin, lead, zinc, arsenic, gold, and silver. The one thing the Liberty Bell in Liberty Square is missing from the original? The crack! Opening on October 1, 1971 (the same date as Magic Kingdom itself! ), Hall of Presidents is an ever growing attraction with the addition of new U.S. Presidents. After a short movie telling the history of America, an Audio-Animatronic figure of George Washington starts off the presidential fun with excerpts from a convention speech. Benjamin Franklin chimes in and, honestly, what was a snore fest in American history class is suddenly brought to life. In between movie clips on American history, notable U.S. Presidents including Abraham Lincoln and Barack Obama give short speeches. The show, nearly 23 minutes in length, is impressive for the crash course on American history and the “roll call” of every U.S. President. Before the show begins, really take time to walk around and look at the actual U.S. Presidential artifacts including Lady Washington’s dress. The giant Liberty tree in Liberty Square is one of the original trees on Walt Disney World property. The giant oak was transplanted, a younger oak grafted into the base of the tree, and 13 lanterns representing the original 13 Colonies were hung. They’re really beautiful to see at night as they light up the tree’s canopy. As you mosey through Liberty Square, make sure to check out the second story windows. One of the windows, located in the House of Burgesses replica, has two lanterns in honor of Paul Revere’s famous phrase “One if by Land, Two if by Sea”. A militia man’s rifle, a doll, and other common objects of that time period can be spied in the upper windows as well. go to link There’s No Bathrooms in Liberty Square- But There Is a Sewage Channel! Ever wonder what that brown, textured ribbon of color stands for on the streets in Liberty Square? Yeah, it turns out that there was no indoor plumbing in those days. Instead, sewage was thrown out of the windows and into a central channel in the middle of the streets. The colorful pattern pays tribute to the plumbing method of choice from those Colonial days! You also won’t spy a restroom in any part of Liberty Square, either. This is done purposely to keep with the theme of the area. The closest ones are located in Columbia Harbor House or New Fantasyland Expansion. Hey Kid, There’s a Flamingo on Your Knee!